Mr. Miller completed his undergraduate education at the University of California in 1968. Upon graduation, he served on active duty in the United States Marine Corps, serving in the Republic of Vietnam in 1969. 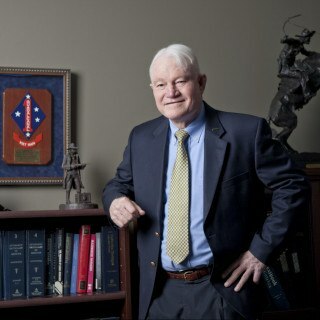 Mr. Miller spent 27 years in the Marine Corps Reserve, attaining the rank of Lieutenant Colonel. After leaving active duty in the Marines, Mr. Miller attended the University of San Diego School of Law, graduating in 1974. Upon graduating law school, Mr. Miller worked as a criminal defense attorney for several years before starting his own civil litigation practice in 1982. Mr. Miller has over 35 years of experience practicing law, primarily representing plaintiffs in the areas of civil litigation and medical malpractice. He is a board-certified civil trial specialist and has served as a faculty instructor for the National Board of Trial Advocacy, an organization which is accredited by the State Bar of California. In addition, since 2008, he has been awarded a rating of AV Preeminent by Lexis-Nexis® Martindale-Hubbell®, which signifies that Mr. Miller is nationally ranked as possessing the highest possible rating for legal skills and ethical standards. Since 2008, Super Lawyers has also recognized Mr. Miller in their annual publication of top attorneys in San Diego in the area of medical malpractice.